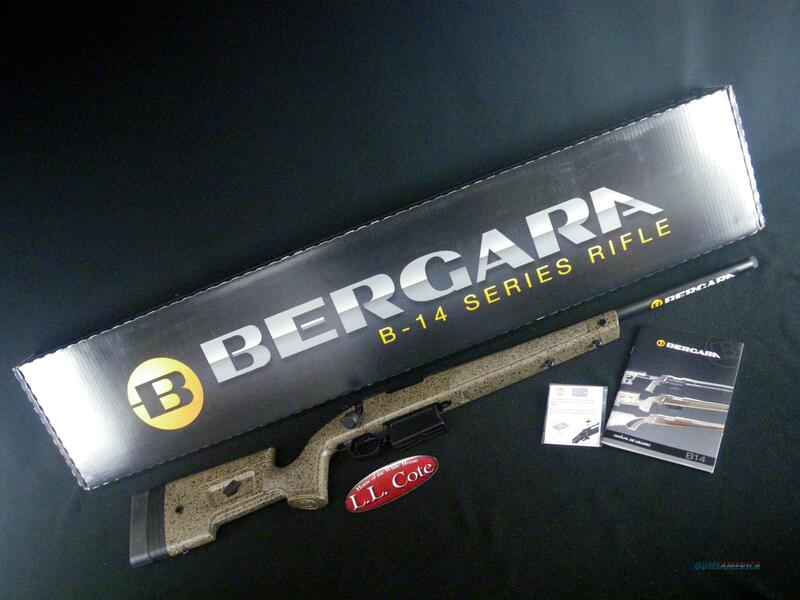 Description: You are bidding on a Bergara B-14 HMR in 6.5 Creedmoor with a 22" barrel. Although there are many rifles on the market today, Bergara wanted to focus on one thing: quality. The B-14 rifles were inspired by the desire to bring the quality that Bergara was known for in the custom rifle world to production rifles made for all hunters. The Bergara B-14 HMR supports a fully free-floated barrel to achieve optimal precision. The stock features an adjustable cheekpiece and length of pull spacers. Displayed images are stock photos. Any questions please feel free to ask (our phone number is in the additional information tab above).